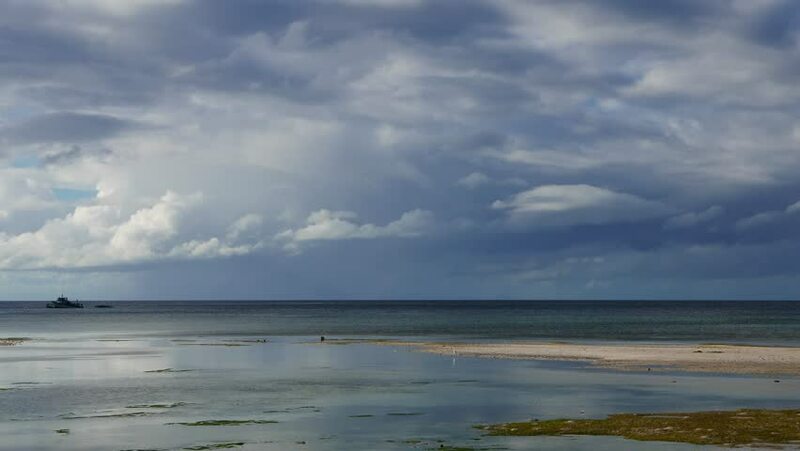 A bright, cloudy morning time lapse from Siquijor white sand beaches. A Chinese Egret can be seen feeding in the low tide pools. There are also local outrigger boats in the composition. 4k00:24A bright, cloudy morning clip from Siquijor white sand beaches. Swallows can be seen flying over low tide pools and feeding. There is also a local outrigger in the composition..
hd00:18Beautiful clouds with blue sky showing through and sea waves below coming ashore.